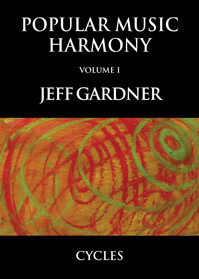 Jeff Gardner, an excellent pianist, composer, and teacher, author of many fine books on music, has given us a timely guide to harmony and melody in popular music. Full of chord voicings and melodic lines on the most important progressions, this book serves as a technical course of study for pianists and piano students, as well as a practical guide to the inter-relation of harmony and melody for all instrumentalists. A spectacular work! Full of fantastic information for aspiring jazz pianists. Volumes I and II of Popular Music Harmony offer piano students and any instrumentalist interested in the subject a series of essential exercises based on the spinal cord of the tonal system: transpositions of cycles, cadences, and harmonic sequences. 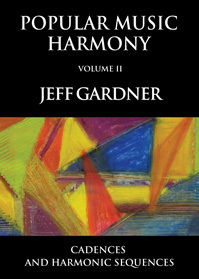 The two volumes of Jeff's Harmony books bring a huge variety of voicings applicable both harmonically and melodically. It is a work that offers the musician of the most varied levels a valuable source for consultation and exploration in the wonderful homophonic world. Thank you for this rich gift, dear Jeff! This book will bring a better understanding of intelligent walking bass lines. It's all here - cycles, chromatic approach tones, triads and seventh chords, major and minor arpeggios - everything you need to quickly develop your understanding of the language of Jazz for accompanying and soloing. I’m going to use it myself! 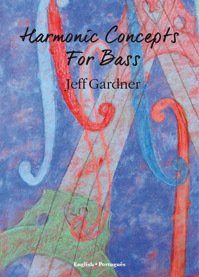 A clear and concise book for jazz bass that would be of great help to any student bassist. Congratulations on the bass book - it is a great resource for bass players to learn about constructing interesting lines. 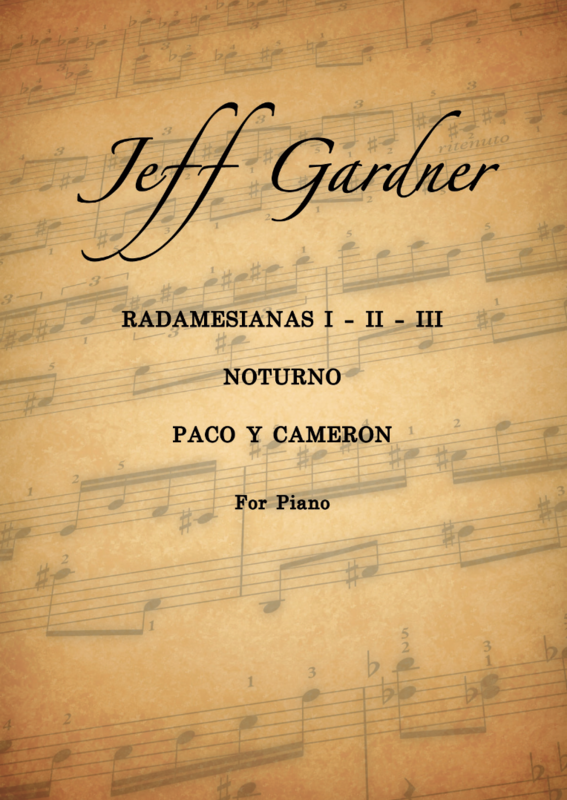 Jeff Gardner, a pianist who knows the subject of Blues inside and out, has managed to organize in less than 100 pages a style so vast that it overflows its own boundaries to blend with other cultures and styles in today’s musical world. 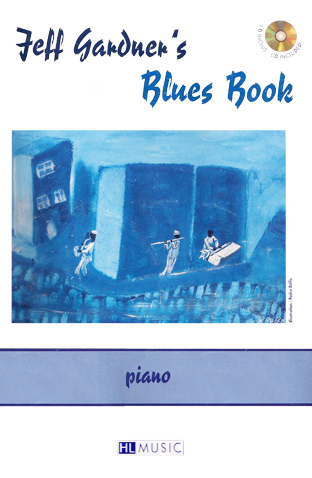 His explanations are clear and concise, serving as a basis for teachers to guide their pupils through the subject, or, for those students with a basic knowledge of music, to use the book themselves to dig deep into the Blues, whether they be pianists, string players, wind players, or any other instrumentalist. 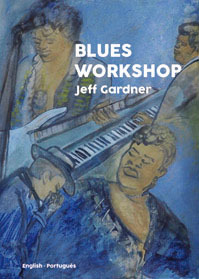 As a pianist and a great admirer and fan of this vast musical style, I can say that I am fascinated by the book and will have a lot to with “Blues Workshop”. 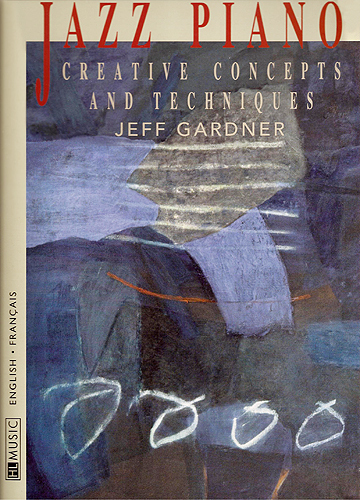 Congratulations to Jeff Gardner for having dedicated part of his time to this task, which, as I know well, is difficult, but of vast importance to music instruction. "Jeff's piano book is one of the most comprehensive books on any subject you will ever encounter for any level pianist - it's all here!" "As a method book for budding improvisers on any instrument it should be required reading"
those interested in music in general and jazz in particular"
"This is an incredible book! I am a professional jazz pianist who has gotten years of practice inspiration from it (and still do! ), and it is a great tool for giving my piano students ideas on what and how to practice. The best book on jazz piano I've come across for sure!" The book comes in three versions: solo piano, duets for piano and flute or concert instruments (with separate flute parts), and duets for piano and sax (with separate parts in Bb and Eb). Complete with an audio CD with all four versions plus the piano accompaniment alone. Whether you are listening to and/or playing jazz, funk, rhythm'n blues, fusion, soul, or rock'n roll, the blues is the heart of the matter. To build a firm foundation for improvising in any of these styles you have to know the blues. These pieces are based on simple motifs, developed through one or two 12-bar choruses. This technique of motivic development is essential to improvising and composing in any style of music. I have included a chart of basic blues scales to aid more advanced and/or adventurous pianists in improvising on these pieces. 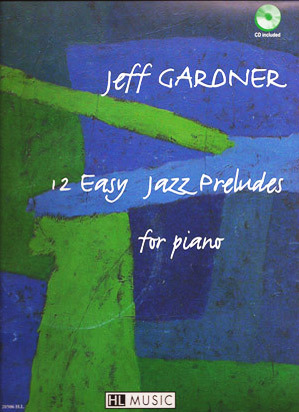 These playful Easy Jazz Preludes are a lot of fun as well as being instructive. One can enjoy the strong melodies and harmonic sense of adventure in Jeff's writing. 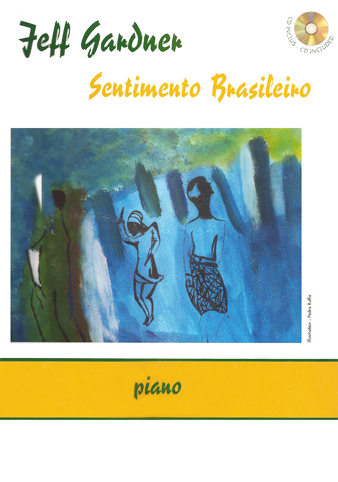 These are simple pieces in samba, baião, and chorinho rhythms which together form a method for learning important popular Brazilian music grooves. The book comes in three versions: solo piano, duets for piano and flute or concert instruments (with separate flute part), and duets for piano and sax (with separate parts in Bb and Eb). Complete with an audio CD with all four versions plus the piano accompaniment alone. "Jeff is one of my favorite composers. His music never sounds cliche. These studies are no exception. They are challenging and build technique, which are objectives of etudes, but they don't feel like exercises but more like little compositions. I've enjoyed and will continue to enjoy working on them." 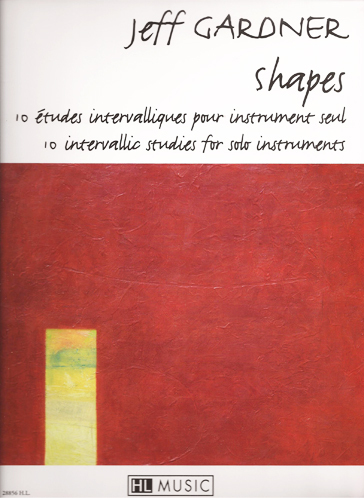 I have found great pleasure exploring these melodic shapes in the form of studies. The great range of expression that they demand from the player helps develop musical creativity along with instrumental mastery. Like Bach's Suites and Partitas, Telemann's Fantasies, or the inspired improvisations of Steve Lacy, they will give wings to the apprentice improviser who makes them part of his or her repertoire and daily routine of study. The freedom that these pieces awake can reveal to each musician a path towards creating original melodies.